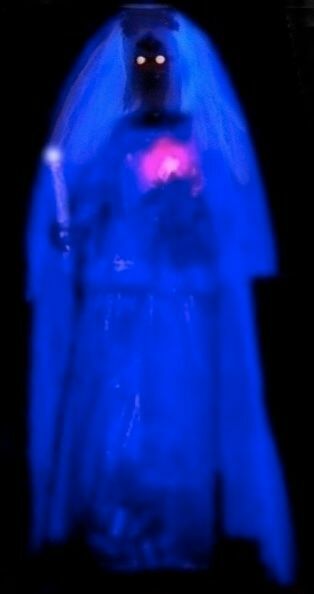 What we have here is not a ghost so much as a paranormal being, variously classified. 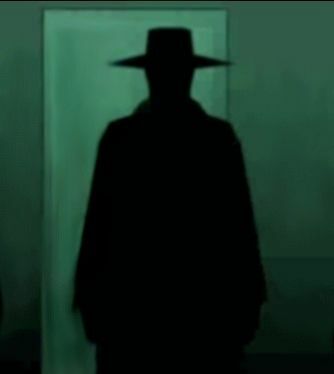 If you Google "Shadow People," you'll be inundated with sites discussing this phenomenon. You'll read of demons, or you'll read of aliens, and nowadays "interdimensional beings" is a pretty popular explanation too. 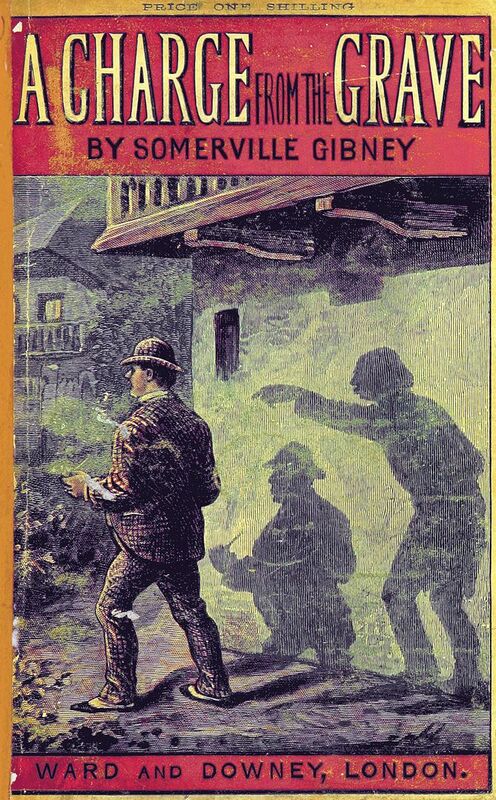 Belief in Shadow People seems to run independently of belief in ghosts. 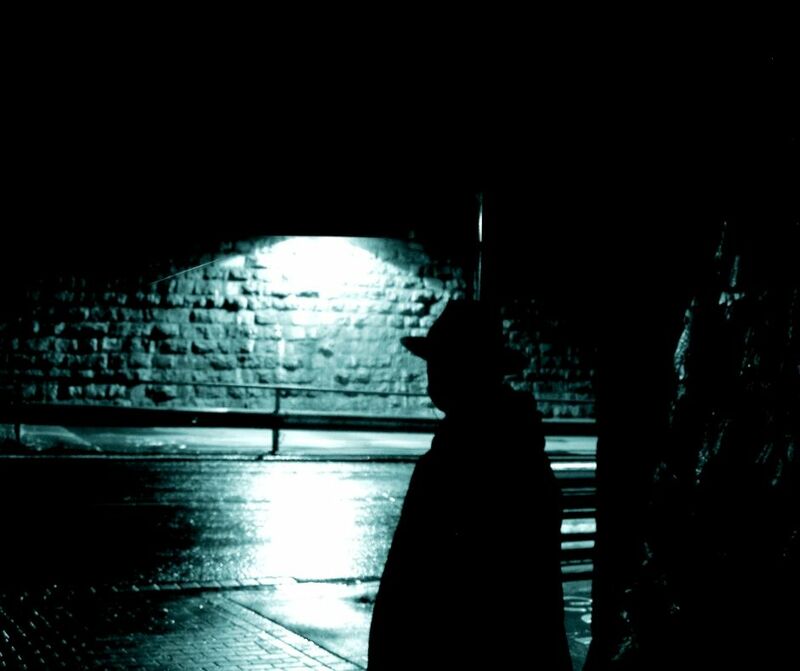 There are people who have never seen a ghost and even have doubts about their existence who swear that they have had creepy encounters with Shadow People. 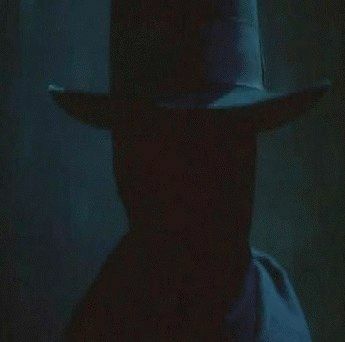 The "Hat Man" is one particular variety of Shadow folk who shows up over and over, and I have to say that I find the hatted figure at least ten times scarier than the hatless types, and I don't even know why. of your eye" manifestation, which only makes him that much scarier. Merchandizers of horror haven't let this opportunity slide by, of course. 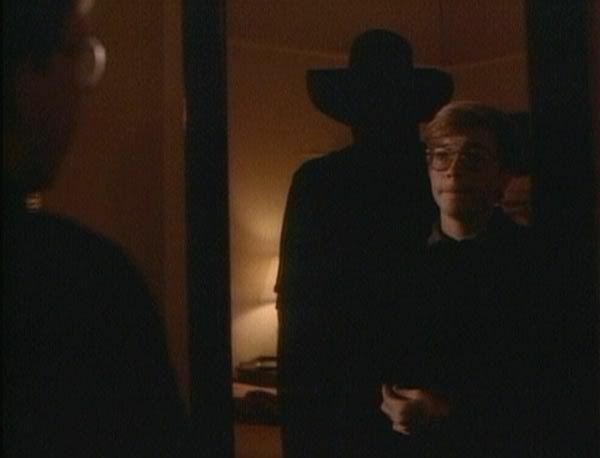 One of the better episodes of the new Twilight Zone series in the 80's was a Joe Dante directed piece called "The Shadow Man," about one of these dark fellows who lived under a 13-year-old boy's bed and was definitely up to no good. I remember that when I first saw it back in '85, it was just about the scariest thing I had ever seen on a regular TV program. It's up on youtube as of this writing, and if you haven't seen it, you should. Terrible music and utterly unconvincing performances by the young actors, but forget all that. It's got one of the best twist endings evah. 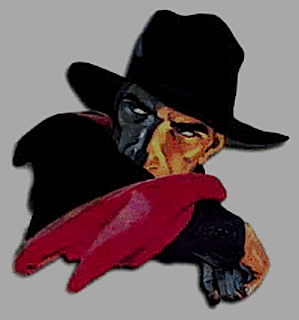 In pop culture, the basic Hat Man image goes back at least to the early 1930's and the creepy anti-hero, "The Shadow," famous from pulp novels, comics, and an immortal radio program, where he was sometimes portrayed by Orson Welles. 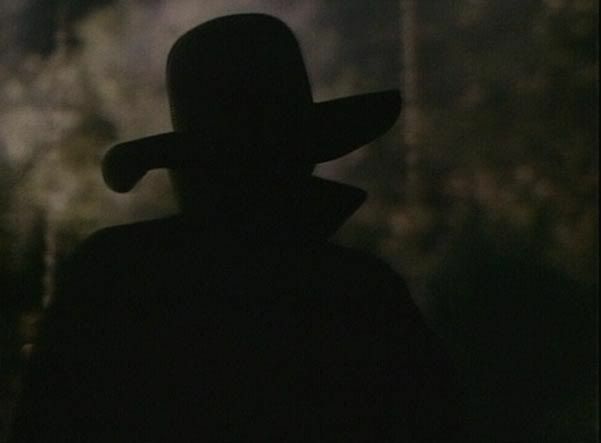 (That seems right; in later years Welles did indeed cast quite a shadow, as I recall.) 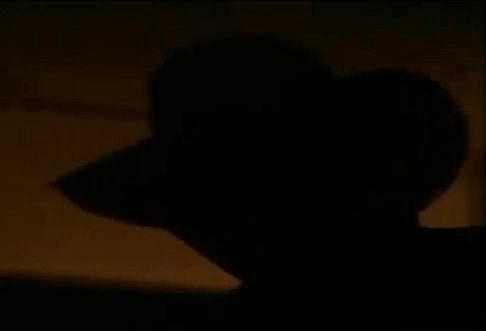 The Shadow bears a remarkable resemblance to our Hat Man. Nevertheless, I do suspect that the essential image here goes back a lot further than the 1930's. 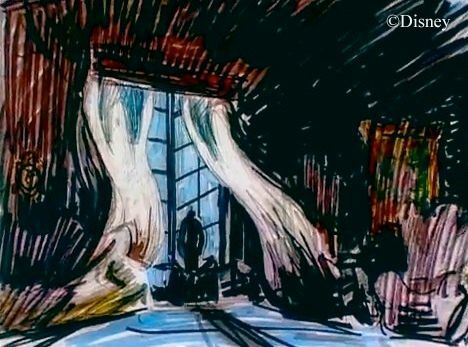 No doubt you've heard of the artist Edvard Munch? You know, the guy who did "The Scream"? Yeah, him. 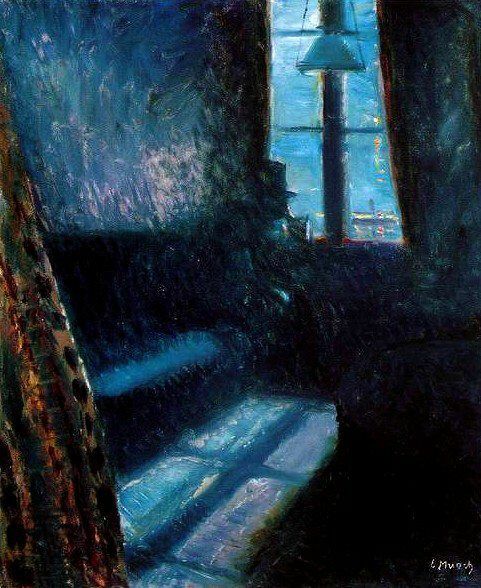 Well, here's an equally cheerful Munch piece from 1890, innocently called "Night in St. Cloud." Would you sit next to this guy? Hey . 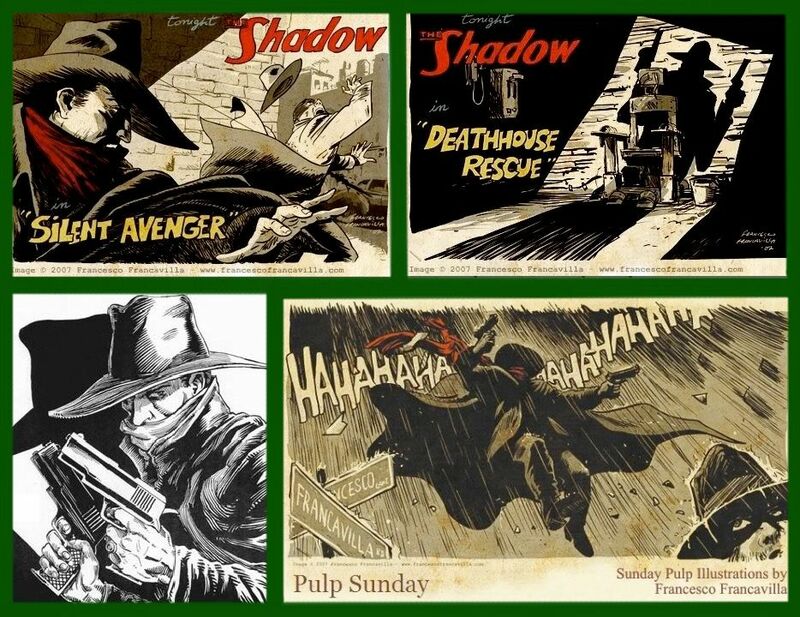 . . where's his shadow, anyway? Yeesh. I'm tellin' ya, it's that damn hat. 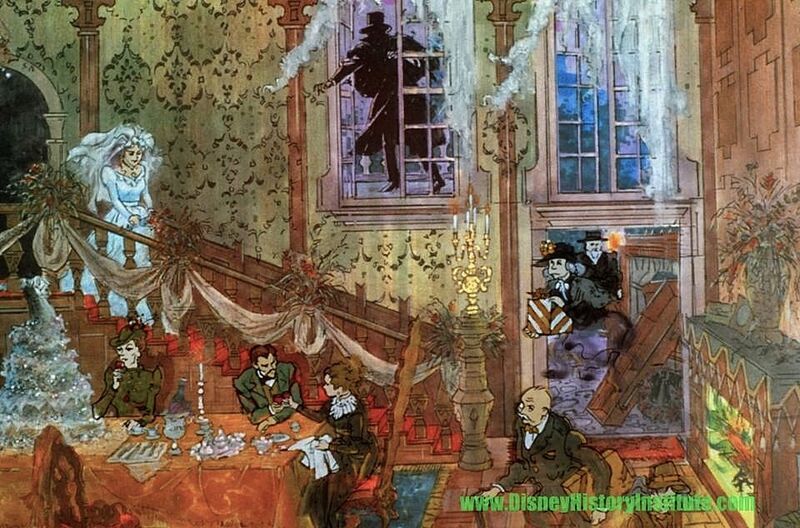 So now that we're a little more familiar with the territory, we may ask whether the Haunted Mansion Imagineers put any Shadow People into the house. And of course the answer is yes. 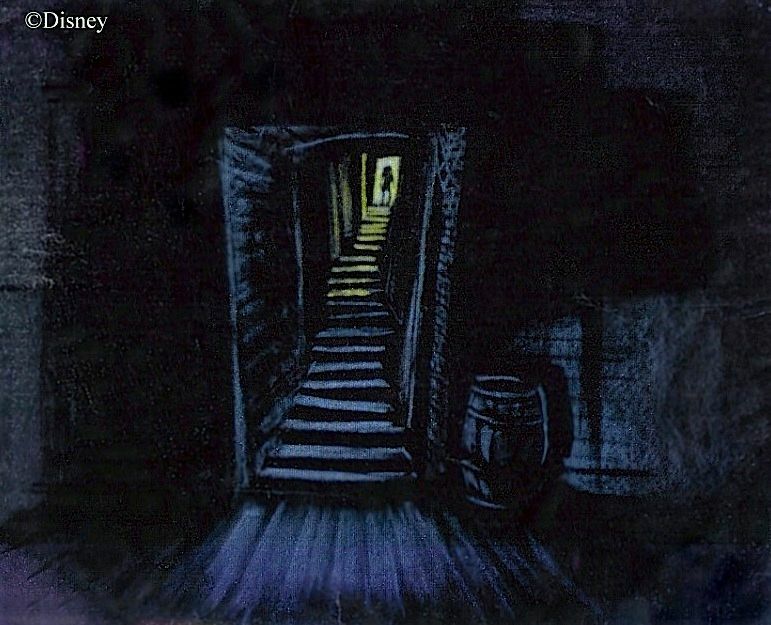 Some of the early concept art definitely tries to tap into those vague, amorphous, SP atmospherics. Here are two sketches, most likely by Ken Anderson. Feast your eyes; they're extremely rare. 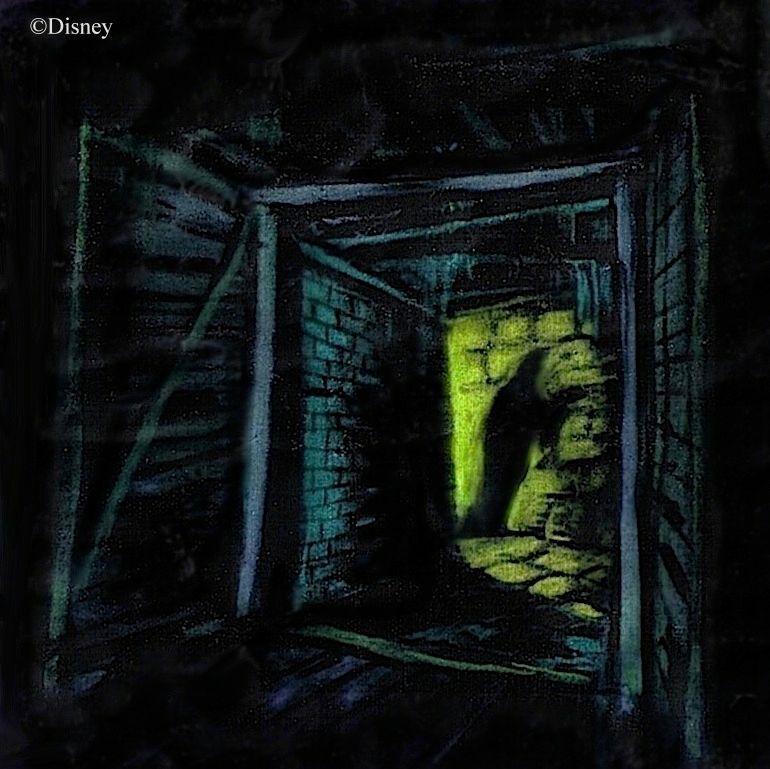 This first one was on display in the Disney Gallery for awhile in 2003, but I don't think it's ever been published. And I don't think this second one has ever been officially displayed or published anywhere. 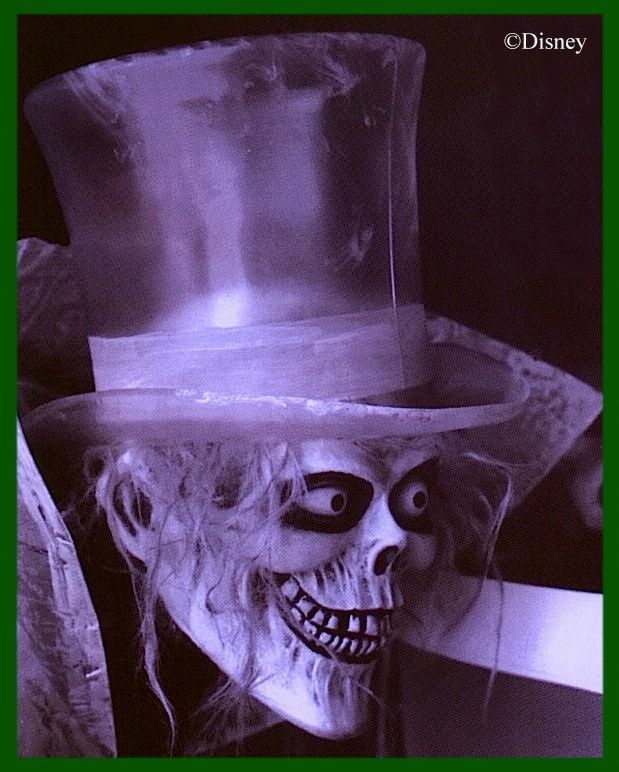 ...and ending with the introduction of a new character at Disneyland, the attic pianist of 1995.
to the Hatbox Ghost. It's possible, but I doubt it. The style of hat isn't quite right. 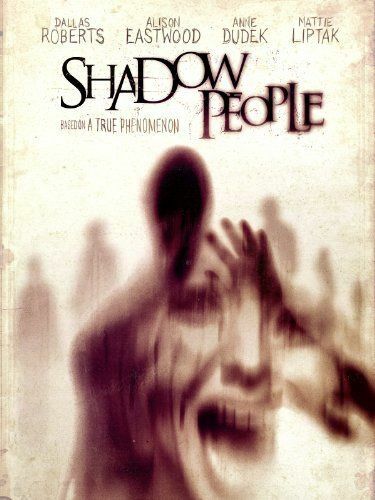 According to some interpretations of the Shadow People, the shadow is all there is. 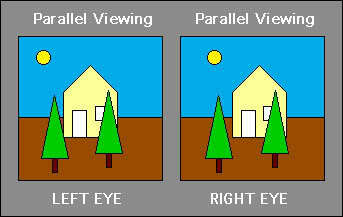 These aren't shadows OF someone or something; the shadow is itself the being. 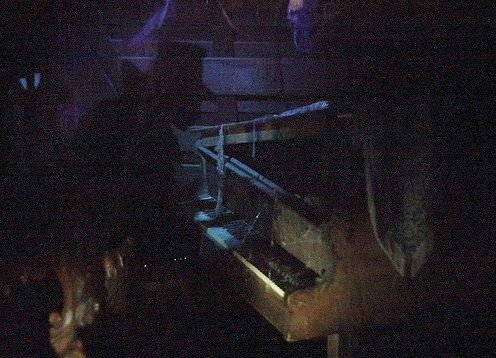 The attic piano player seems to be precisely this kind of apparition. 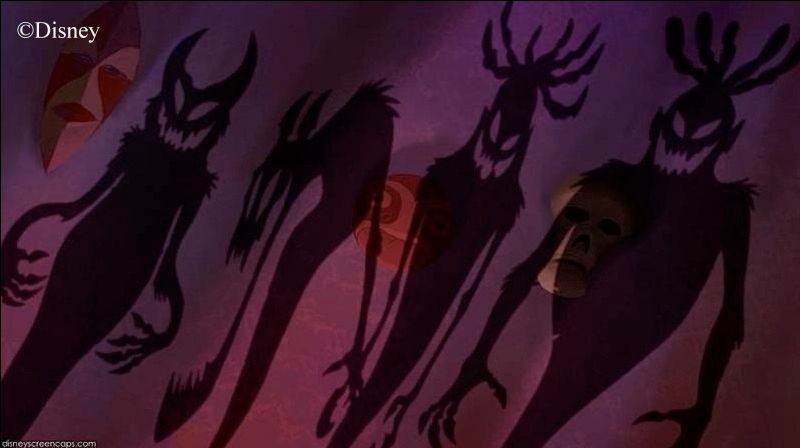 The shadow demons in The Princess and the Frog are also good examples of this type of manifestion. as Shadow People rather than the cast shadow of some sort of unidentified spook. How about this one? Okay, well, how about this one? This is a better candidate. 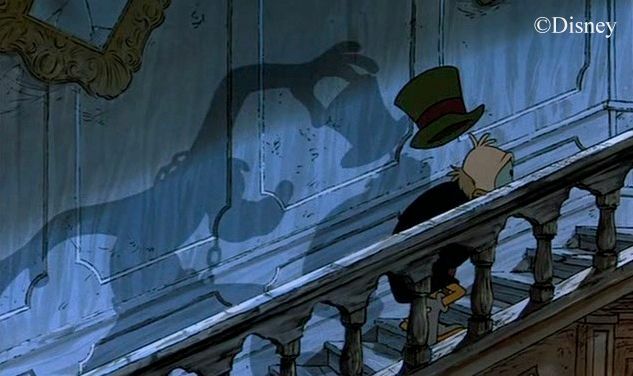 Have you ever considered the possibility that there may not be anyone behind you at all, casting that shadow? 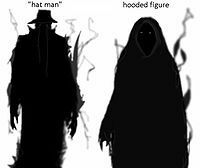 a few other "species" of Shadow People have been identified, including a hooded figure with glowing eyes. Kind of a tall, dark Jawa, I guess. version. Could that be because she seems vaguely like something more or other than your garden variety ghost? I don't know, but I wonder. 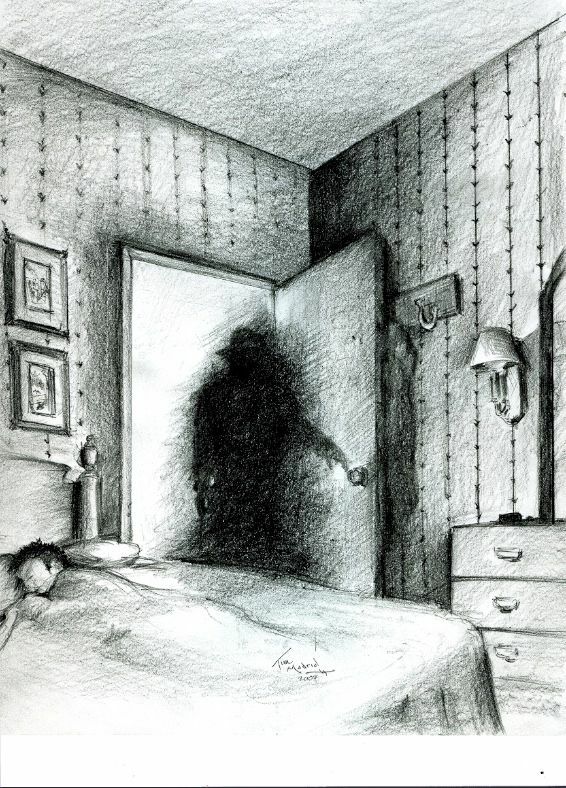 Come to think of it, that illustration of the two most often reported varieties of shadow people is eerily reminiscent of the attic occupants in general. I don't know if this a matter of sheer coincidence or another example of well-tuned artistic instinct. On the other hand, this particular incarnation of the bride was taken out at the same time that the pianist went in, so they've never been seen there together. Perhaps I'm making something out of nothing (again). I don't know what's going on here, if anything, but I wonder. I don't know, but I wonder. Sometimes I think that's my life motto right there. And sometimes it doesn't bother me if it is. 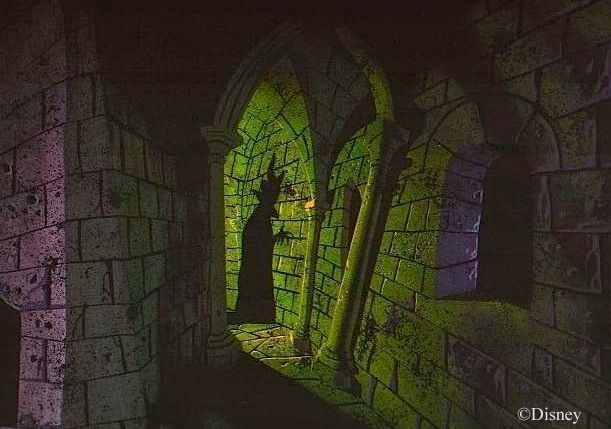 It would probably be a huge mistake to assume that the Imagineers thought they were dealing with a wholly other type of critter when they threw Shadow People into the mix. 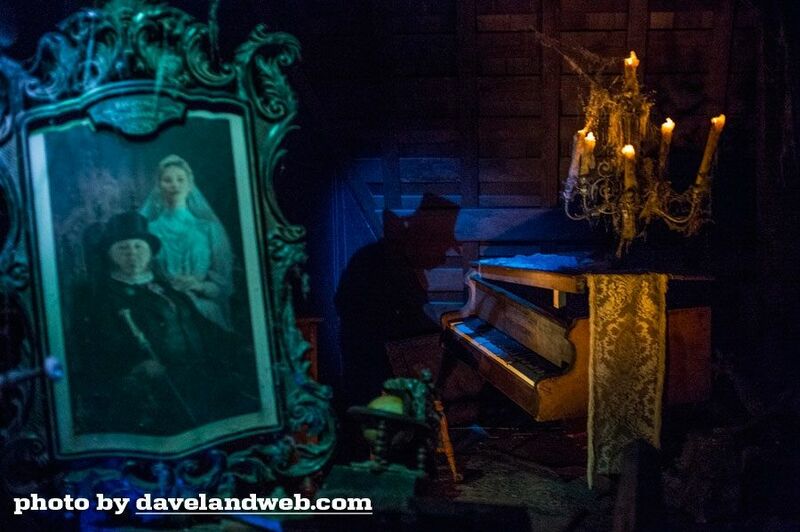 One of the ground rules in the world of the Haunted Mansion is that no real lines are drawn between one netherworldish being and another. "Ghosts" includes not only spirits of the dead, but banshees, wraiths, demons, phantoms, poltergeists, goblins——you name it. 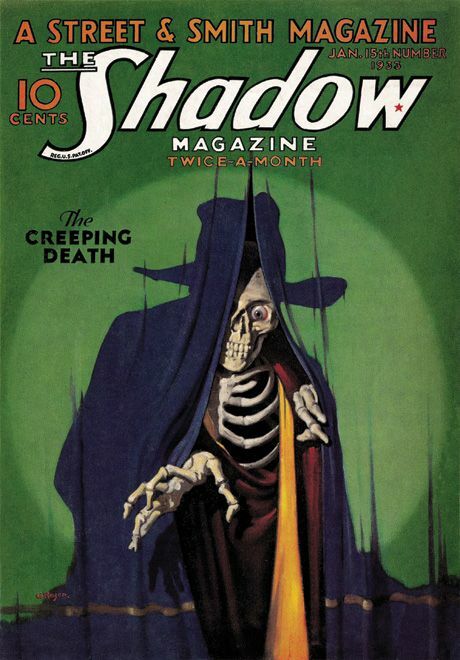 Shadow men are just another part of the ghoulish goulash presented under the catch-all rubric of "ghosts" or "spirits." 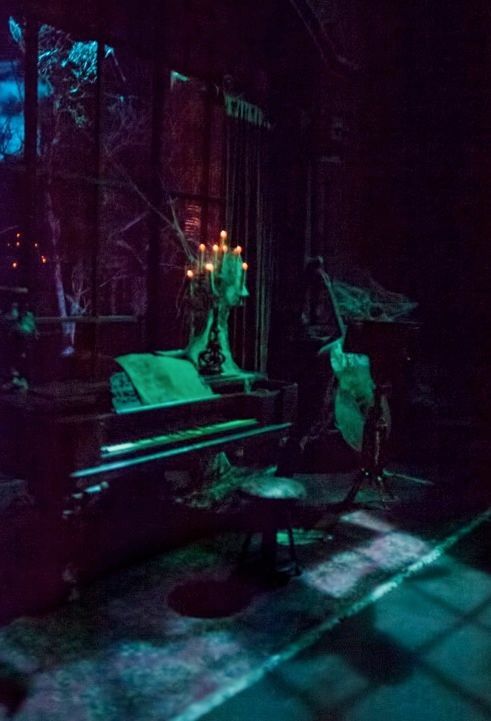 You are further given to understand that almost all of them are "happy haunts" and "silly spooks," and since no one actually believes in fun-loving ghosts, the attraction disclaims any and all attempts to tell you anything serious about what populates The Unknown. There's wisdom in that. 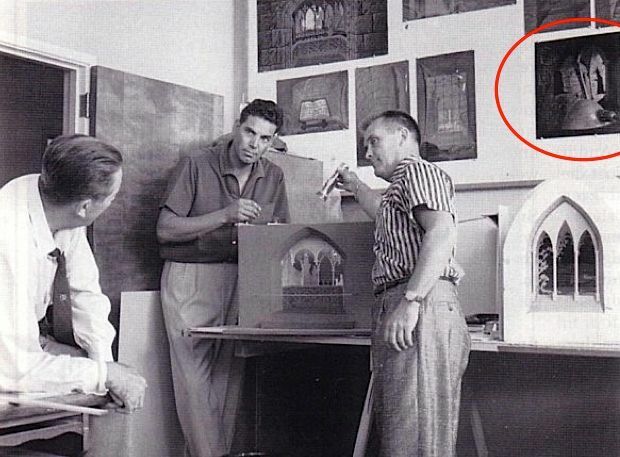 Marc Davis ain't no theologian and he ain't no paranormal investigator. But for sure Davis does know what he's doing. He's going after Disney's biggest target audience: the Average Joe. To be sure, you and I know exactly what a banshee is. "She's not quite a ghost, but a spirit of the fairy folk." Demons are quite another thing, and poltergeists yet another. But we Forgottenistas are a little peculiar in our intellectual pursuits. Average Joe just sort of smiles and says, "Whatever. A spook's a spook." He's skeptical about whether they exist at all, but even if they do, he's still skeptical that we can know anything about them with certainty. 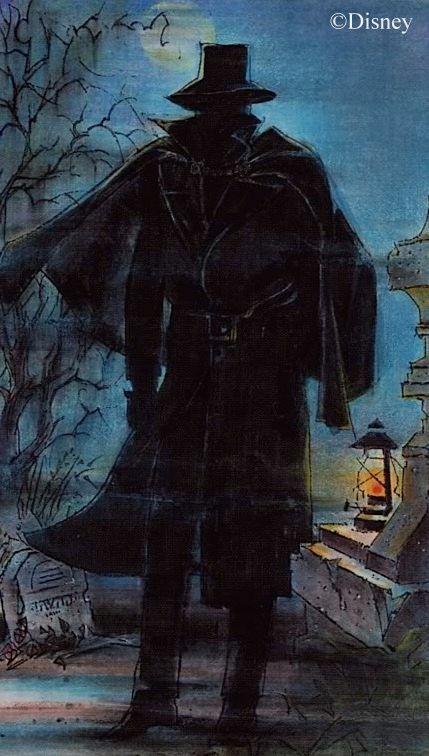 That seems to be the premise of the Haunted Mansion as well, but curiously enough, this ghostly homogenization for purely comic purposes is agreeable to not one but two decidedly uncomical schools of thought on the subject. First of all, on the Christian side, the Church has always held that undisciplined curiosity about the occult world is unhealthy, for the simple reason that you don't know who or what it is you're pursuing. 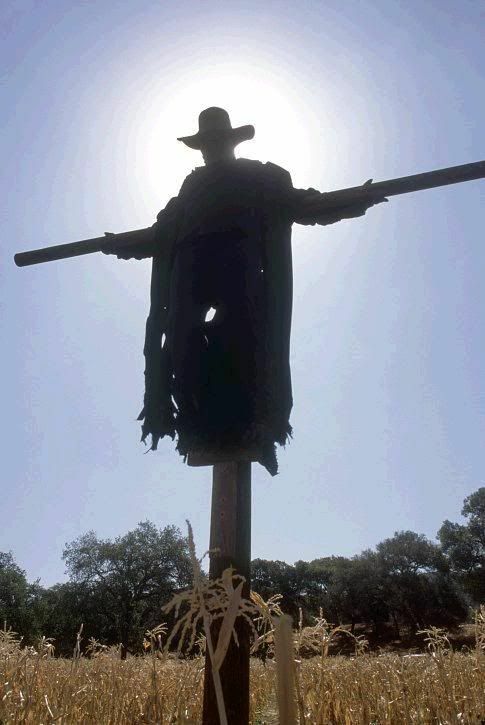 Yes, there are beings over there, says the Church. No, you have no way of judging which are good and which are bad, especially since the bad are going to try to look like they're good, and they seem to have such skills as are necessary to do it convincingly. Between their shape-shifting abilities and their suspect motives, how are you supposed to know who or what you're dealing with? 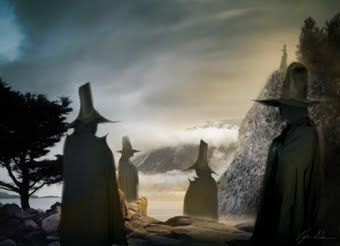 Spiritually speaking, it just isn't safe to travel through that forest alone at night. 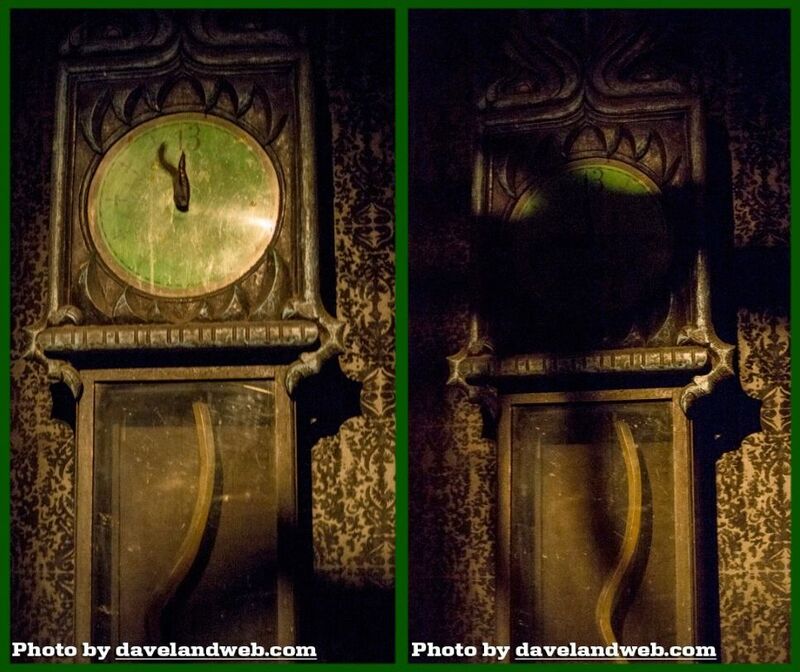 Second, some of the most respected secular paranormal investigators have come to much the same conclusion. 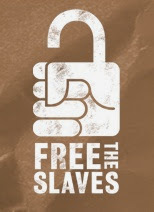 I'm thinking in particular of Jacques Vallée and John Keel. Many sane and serious people believe that there is sufficient evidence to conclude that there are non-human intelligences cohabiting the planet with us who are normally imperceptible by us. Beyond that general observation, you've got your angels, demons, gods, fairies, ghosts, sprites, kelpies, gnomes, aliens, extra/intra-terrestrials, reptilians, elves, Care Bears, Men in Black, Shadow People——there's simply no way to know how many of these are actually separate "species" or even if they're all the same thing, wearing different masks for God knows what reasons. The Care Bears, at least, have been revealed for what they really are (*shudder*). Vallée and Keel do think these critters are generally untrustworthy, whatever they are. When they choose to communicate with us, they frequently turn out to be liars, and sometimes malicious ones. Hence, Vallée and Keel, neither of them religious, end up giving you advice similar to that of the Pope or your local Baptist pastor: You don't know and can't know what you're pursuing, and it is probably not wise to actively seek such contact. Even if you're skeptical and regard this whole mess as a human psychological phenomenon, it's still the case that that way lies madness. Of course, we don't get anything posing as an ET from Venus at the Mansion. Here, the only interest is in the sort of "goblins and ghoulies" that can reasonably be said to have come "from last Halloween." Still, when the show jumbles these all together and presents them to us in a comic venue, it may, if we let it, have the healthy effect of reminding us that Average Joe has a point: We know a lot less than perhaps we like to think we do when it comes to sorting out what lies in regions beyond, and that's the kind of attitude that can keep you out of trouble. There's a reason it's called The Unknown.